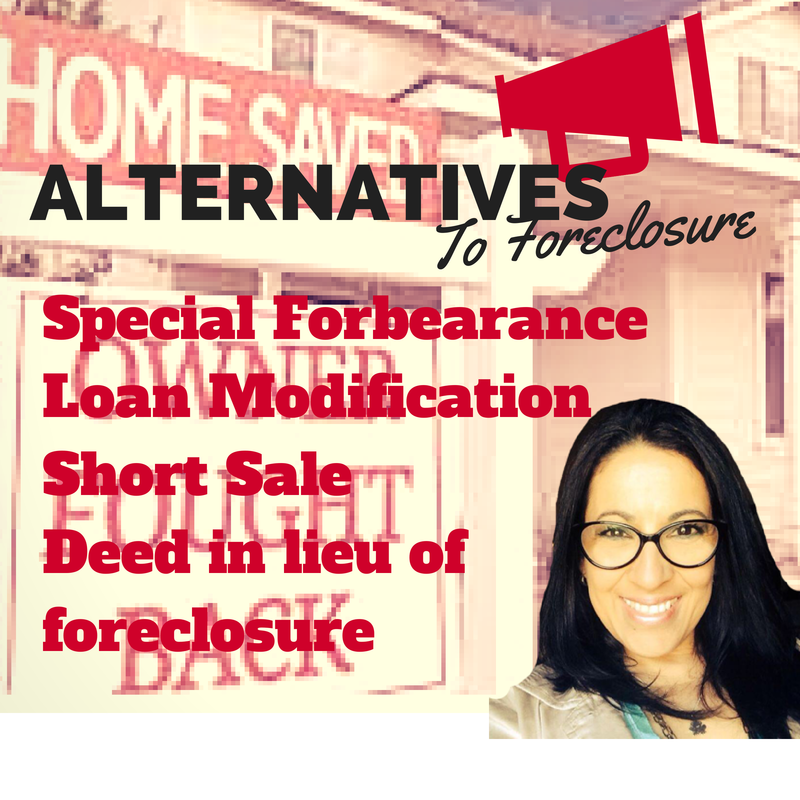 Lilly Garcia Realtors - FORECLOSURE IS NOT YOUR ONLY OPTION! 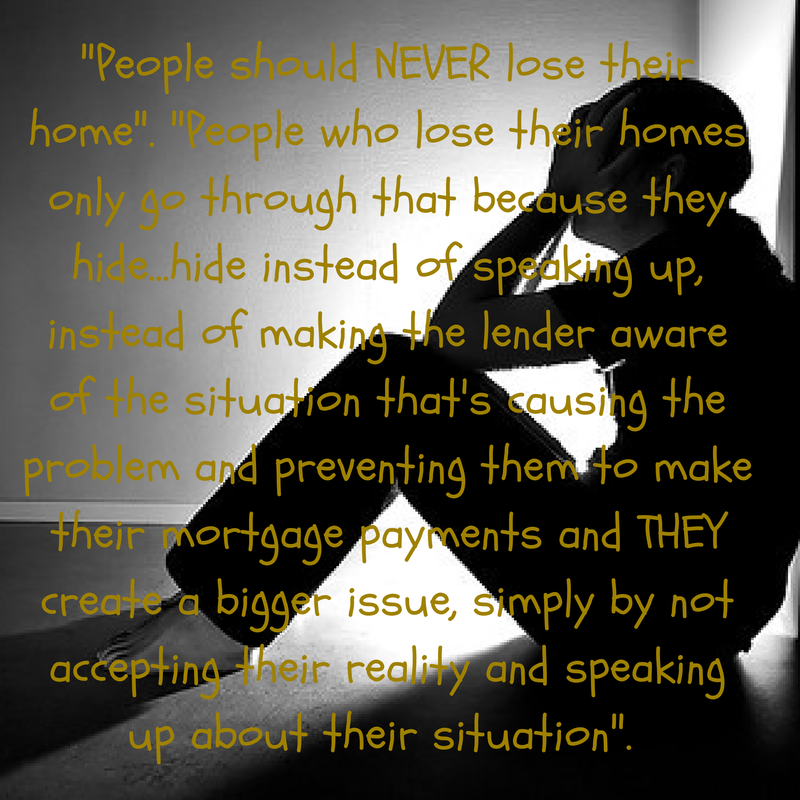 FORECLOSURE IS NOT YOUR ONLY OPTION! Change is inevitable. Sometimes it's harder to recover from certain situations than others. Some changes will impact your life positively like winning the lottery or getting an incredible promotion; others, not so much; like the loss a loved one, a sick child or the sudden end of a career. If your changes are positive and you have time it's a great alternative to hire an agent to help you upsize, relocate, rent or sell so that you can move on to bigger and better things is the way to go. But if the situation is not the best for you at the time, then its time to think about alternatives. If you are about to lose your home to foreclosure or are going through some changes in your life that have you wondering: "should I try to stay and make it work or should I sell"? or maybe you have been receiving mailings from investors offering to buy your house for pennies onthe dollar. Please understand that there are OPTIONS and YOU ARE NOT ALONE!! I have personally experienced several moments in my life where at the time I didn't think I could go on or would be able to recover. One of those times, back in 1993 my now adult baby daugther had to endure renal surgery at 9 months old. Not only the situation was scary and hard on my budget, but also at the same time her dad and I separated. I had a lot to deal with, was unable to afford my mortgage payments, couldn't think of alternatives and was really scared. I also felt ashamed and very lonely. Making my mortgage payments was not possible at the time because I took time off from work to take care of my baby. I had also four other kids to support and care and although I had every reason to give up I also had every reason not to. I was not ready to call it quits just yet... While reading my mortgage statement which showed four payments late, I suddenly remembered the words of a very educated agent who was showing me a foreclosed home when I was 17 years old and in search of my first home. These words still guide me whenever home owners want me to comsult with me on how they can save their home. That agent said to me: He noticed I was very interested in what he was saying and went on to tell me there were a multitude of programs available... programs that had been created by the Department of Housing and Development (HUD)to help people prevent foreclosure by either retaining or disposing of their homes with dignity and without major repercussions, giving them the opportunity to start over. I never forgot those words... there I was, seven years later, researching what I had to do to retain my home. I was not about to lose my home if they were alternatives. I was going to speak up. I spoke to a HUD counselor and they cited me to their office, requesting a mountain of documentation to prove my situation and I brought EVERYTHING they asked me and then some. I completed multiple questionnaires, went through interviews and was finally approved for a program called forebearance agreement which was perfectly designed for my situation. They would reduce my payments for a period ot time and the difference would be added to my principal with no additional interest added to it... I WAS ABLE TO KEEP my home!! It was an amazing feeling of victory and relief. I stayed in that home a few more years and I sold it when I moved to Dallas with a significant gain, even though they had added thousands of dollars to my mortgage balance. I didn't care - they helped me whan I needed it. Sound familiar? Are you in a life altering situation that is affecting or could affect your ability to make your mortgage payments? I'm a living example that by preparing your case and documenting your situation these programs work. If you are experiencing distress in your life, I encourage you, DONT HIDE! There is no shame. Reach out and obtain assistance now! Let's go over the alternatives that are available to you. Click on the alternative that applies to you to learn more about your options. Temporary alternatives to retain your property. Help you dispose of (sell) your property.